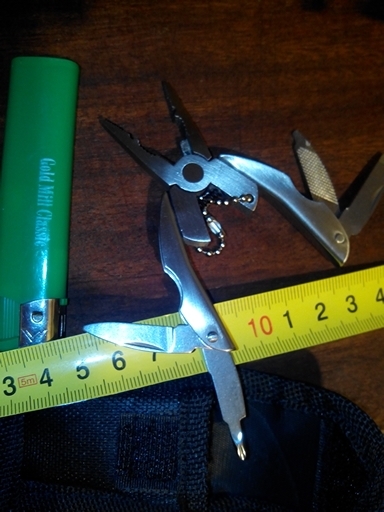 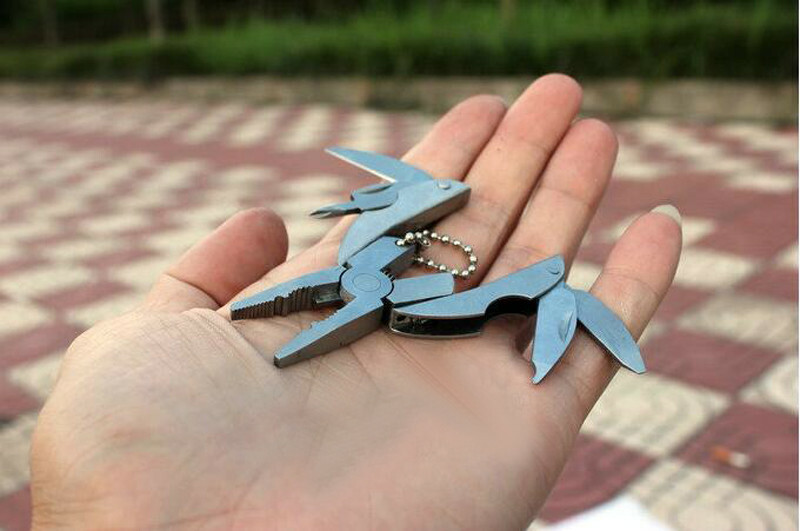 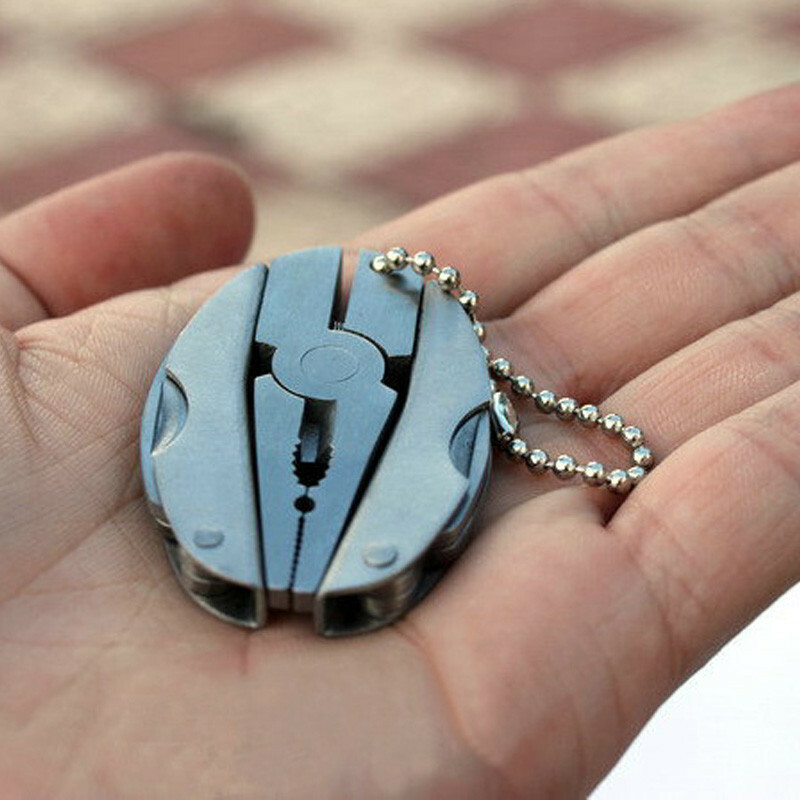 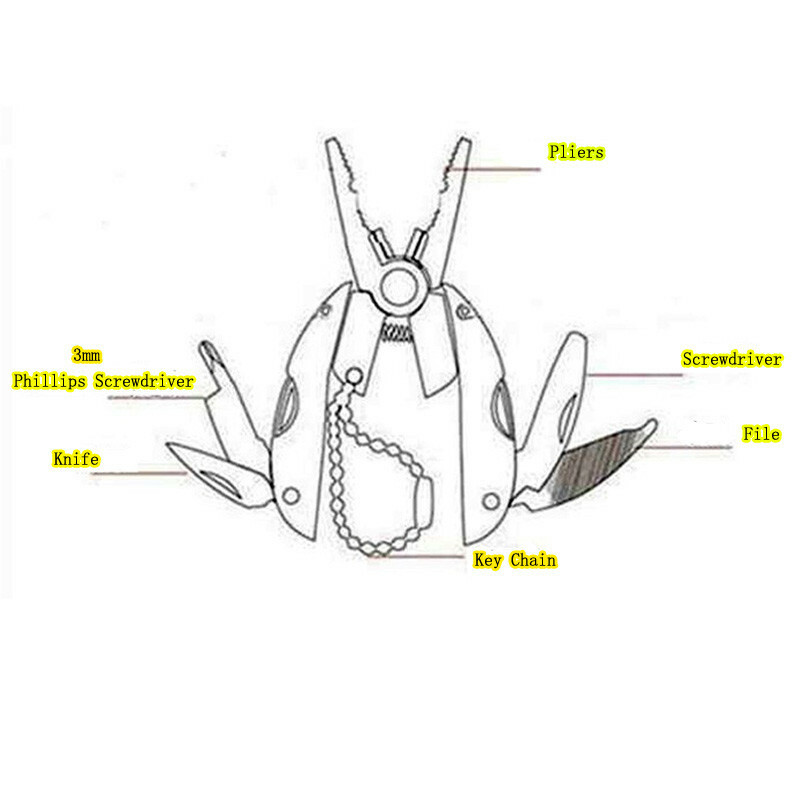 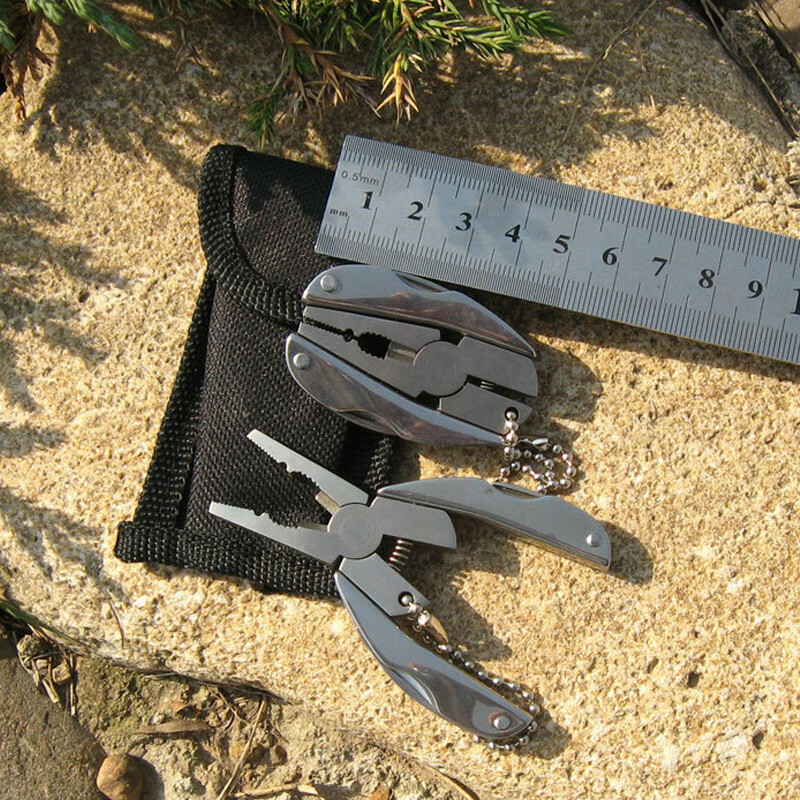 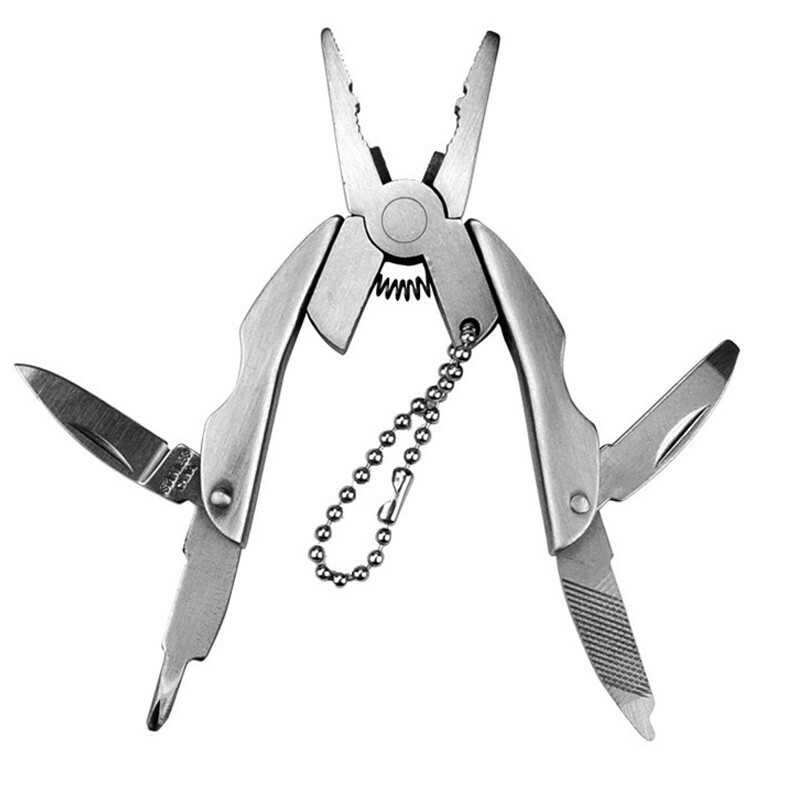 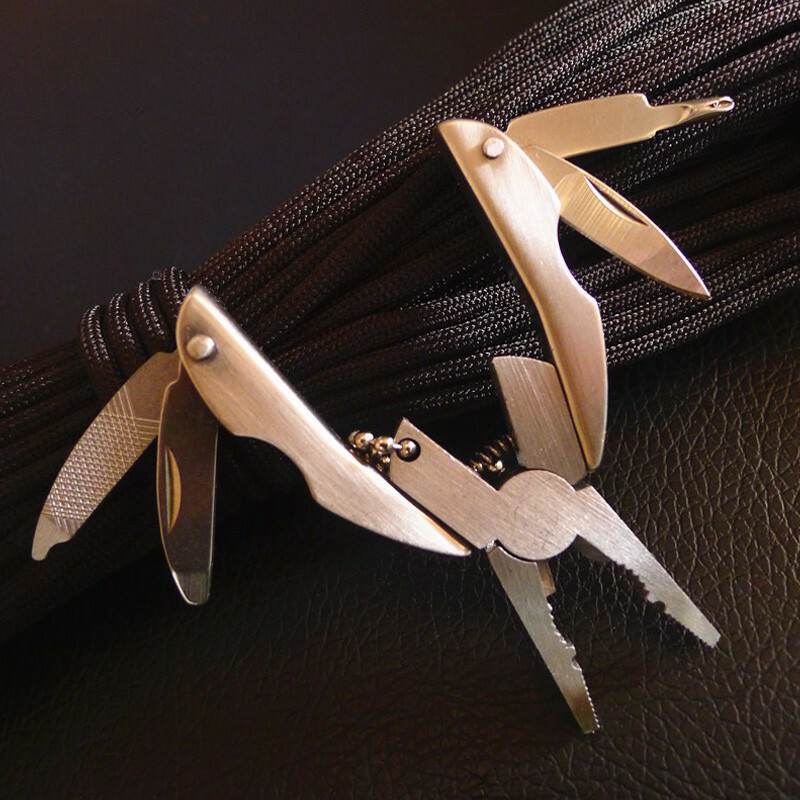 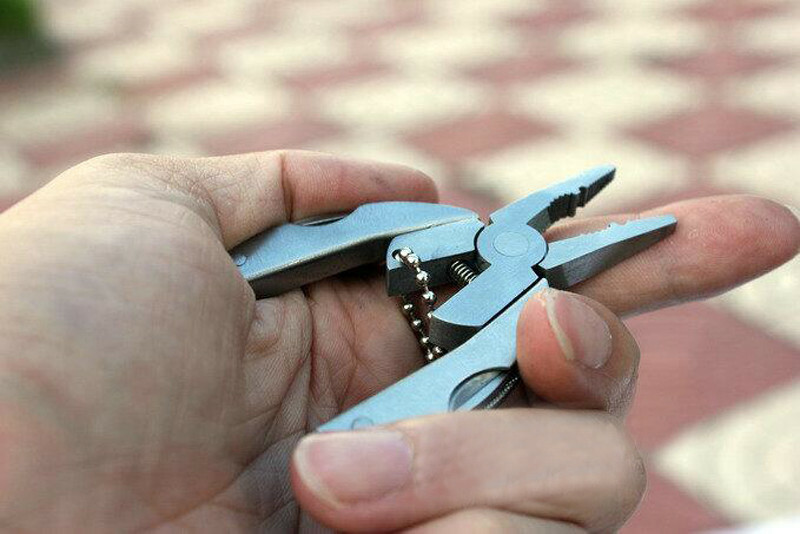 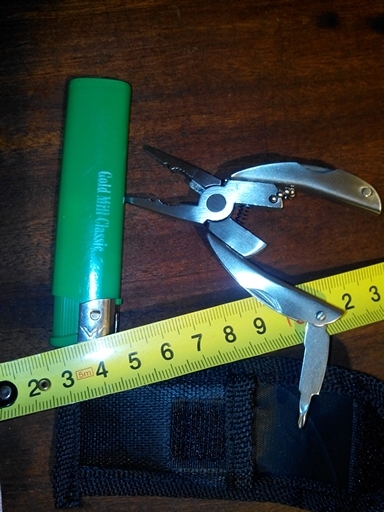 Portable stainless steel plier which also has additional embedded tools as screwdriver, knife, and file. 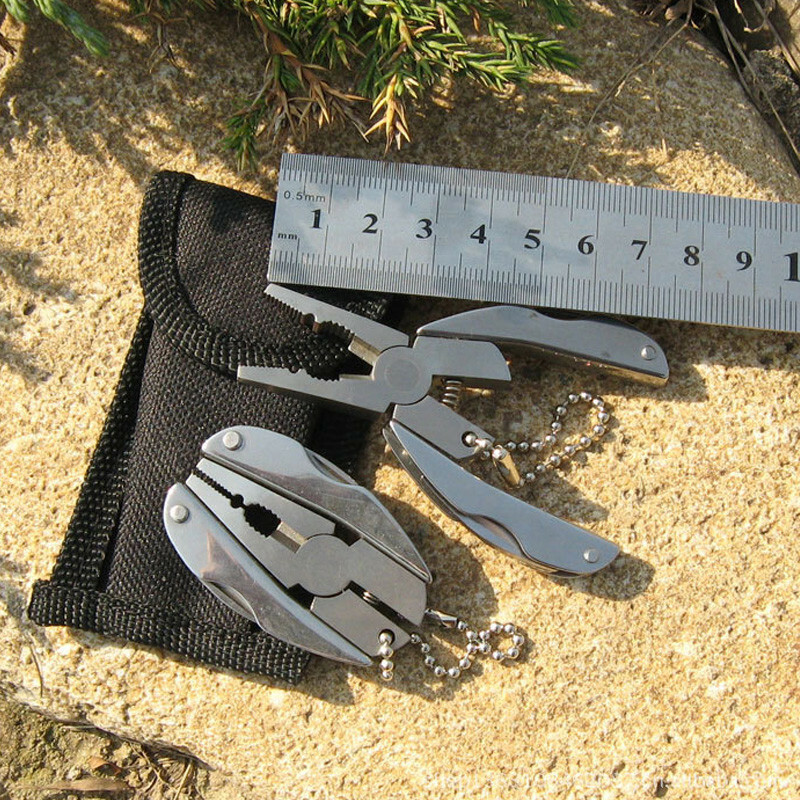 A great portable survival kit, it reduce the amount of equipment you carry when camping, hiking, or doing other outdoor activities. 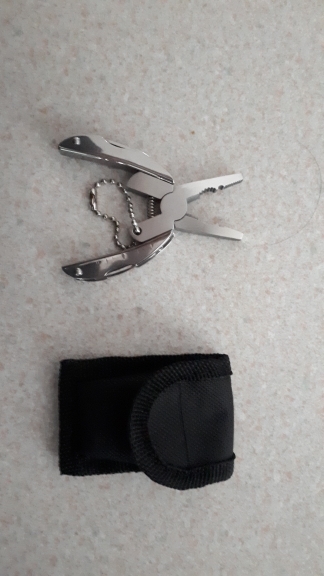 Keychain is very small. 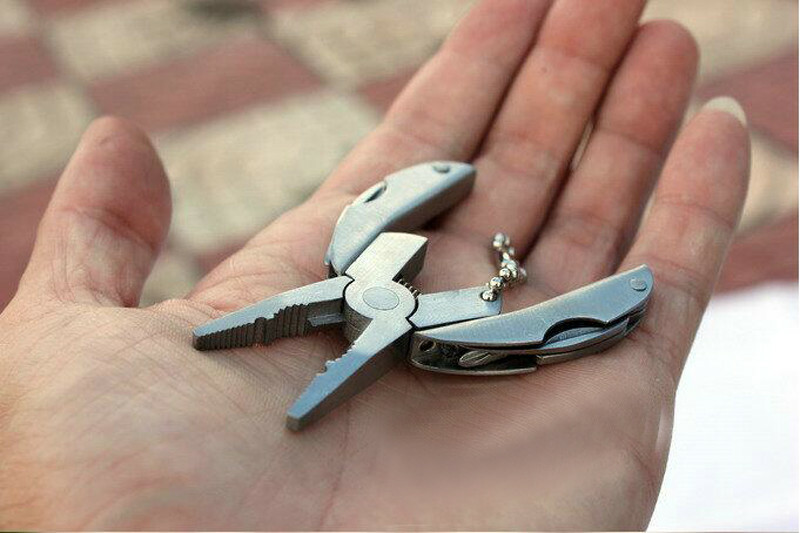 Look funny, but not use very convenient especially if arm big. 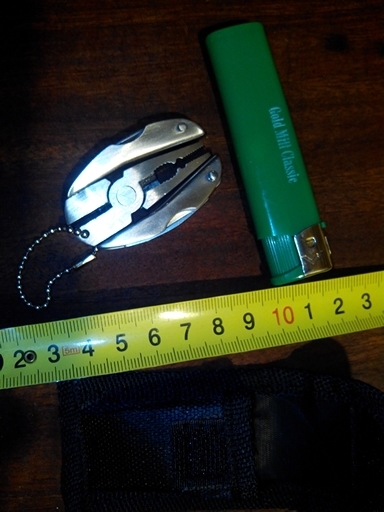 Thing is essentially useless, threw it into the car, maybe someday will come in handy. 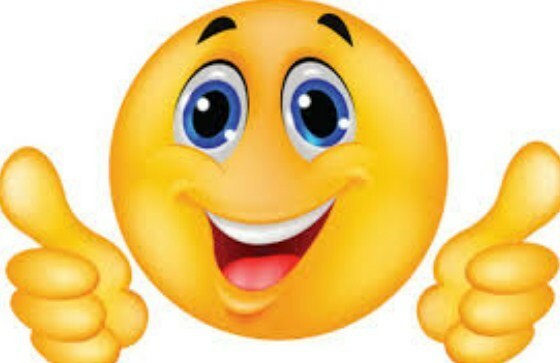 Good минитул. 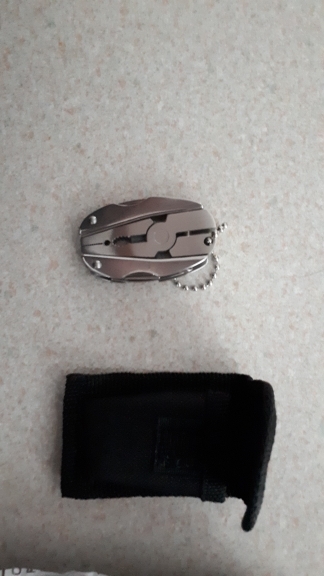 You can take. 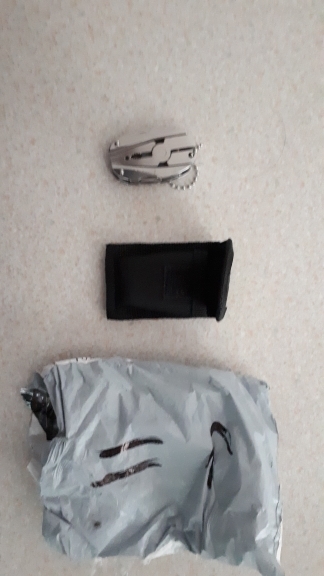 Knife and slotted screwdriver is absolutely not sharpened.